WASHINGTON — The number of fire incidents across the Metrorail system increased 9 percent in the last six months of 2017 compared to the same time a year earlier, according to a quarterly Metro report that also finds injuries rising in the bus system and a number of derailments and collisions. Of the 51 fire incidents from July through December, 23 were electrical arcing of some kind, including nine arcing insulators in July alone. Another 24 fires were issues like trash or debris catching fire; two were train components smoking and one was a cable fire. Metro cites heavy rain in July as a possible contributing factor to the 15 smoke incidents that month. There were eight in August, nine in September, 7 in October, 3 in November and 9 in December. 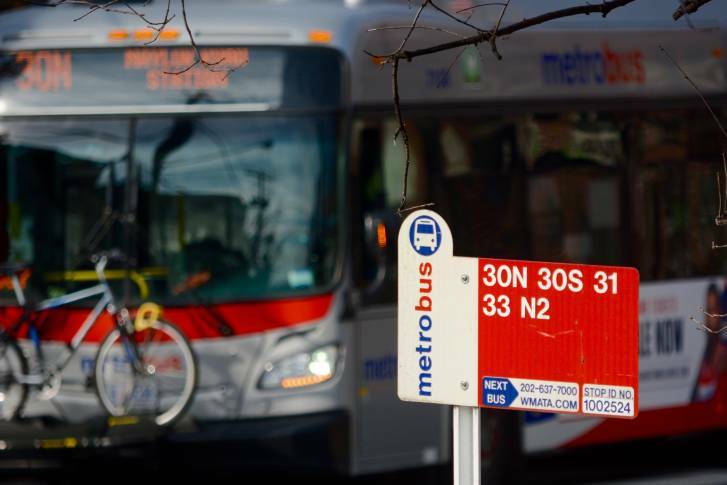 While Metro’s rail rider injury rate dropped 7 percent from the previous year, the bus rider injury rate rose 29 percent and the bus employee injury rate spiked even more. Of the 162 bus riders injured over the six-month period, 100 were hurt in collisions, and 44 were hurt when slipping or falling. The bus rider injury rate was 2.82 per million trips. On the rail system, the injury rate was 1.25 per million trips. Metro blames many of the 109 rider injuries on riders not paying attention or being drunk and slipping, tripping or falling. Gallery Place had the largest concentration of injuries over the period of any station with 13 reported there. Metro said 384 employees were injured on the job and required medical treatment or lost time at work, for an increased injury rate of nearly seven injuries per 100 full-time employees. The bus employee injury rate rose nearly 40 percent over the previous year. Metro blames that on collisions, ergonomic and “stress/assault” related injuries, such as attacks on bus operators. Rail employee injuries ticked down slightly with fewer injuries among maintenance groups but more injuries for customer-facing rail workers and elevator and escalator workers. Overall, Metro said there were fewer serious crimes in the system between July and December than the same period a year earlier. The combined rail and bus serious crime rate is 4.4 per million passenger trips, down from 5.6 in the same period a year earlier. Since the published crime rate is based on what the FBI calls “Part I” crimes, it does not include offenses considered less serious like simple assault, vandalism, weapons possession or sexual harassment. For calendar year 2017, there were two rapes and no homicides reported in the rail and bus system. Metro averaged one derailment each month from July through December, but all were maintenance vehicles. Four of the six derailments were at low speed in rail yards. It keeps the number of maintenance vehicle derailments roughly flat, but there were no derailments of trains during the period. Of course, a Red Line train derailed with passengers onboard Jan. 15, just after this reporting period ended. Separately, Metro found four rail collisions in the six-month period, down from eight in the same period the prior year. In rail yards, train cars hit a bump post, another railcar in a shop and a maintenance shop door. On the tracks, improperly stored material on a maintenance vehicle slammed into part of a tunnel. Bus collision rates ticked up slightly, pushed by a larger increase in preventable collisions where Metro found operators could have avoided the crash. Between July and December, two fewer people hit by Metrobuses had to go to the hospital than did in the same period a year earlier. Of the seven who did, two people were on bikes. Metro escalators are available about 94 percent of the time, and elevators are available 97 percent of the time, the agency said, similar to the same time last year. In the month of October, Metro said it had 100 percent compliance with preventive maintenance work on elevators. For escalators, Metro does the preventive maintenance work as scheduled about 97 percent of the time. However, the Federal Transit Administration warned last month that elevator and escalator safety and maintenance procedures have not been consistently followed and directed Metro to conduct an analysis of rules and requirements to ensure the safety of the public and Metro workers. In the quarterly performance report to be presented to a Metro Board committee Thursday, Metro said it is now looking to change maintenance procedures so that they are tailored to each make and model of escalator and elevator rather than the current system of one size fits all.